Amino Acids is the building blocks of all proteins ! The Total of 20 amino acids contain in Protein which connected by peptides. 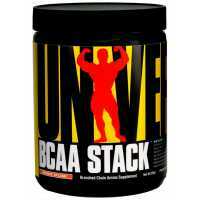 (BCAA) Branched Chain Amino Acids is the tree of the most important amino acids for muscle recovery and protein synthesis . 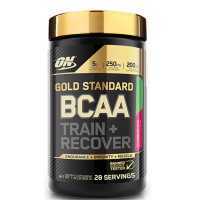 Many Professional and amateur bodybuilders and fitness athletes are taking branched chain amino acids, branched chain amino acid supplement is quickly absorbed by the body, thereby preventing muscle breakdown. 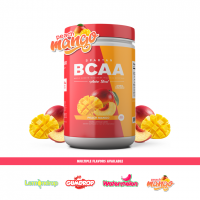 Since BCAA has NO Sugar NO Colors and NO Calories it shows great effect for the people who are trying to lose fat and keep preserved more lean muscle mass on low calories diet ! 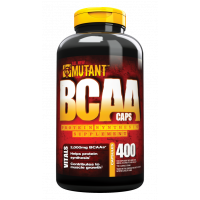 BCAA refers to a group of amino acids containing a branched structure include: leucine, isoleucine, valine. These three amino acids can be provided directly to muscle energy, rather than the other amino acids, as first through the liver metabolism, they all belong to the essential amino acids, essential amino acids accounting for about 35% of skeletal muscle protein, and synthetic skeletal muscle has close relationship. 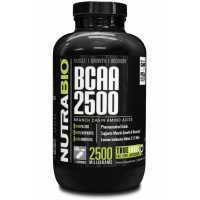 Before exercise or sports branched chain amino acid supplementation may improve exercise capacity and delay fatigue after exercise or immediately after exercise with meals branched chain amino acids not only can reduce cortisol and fast muscle recovery branched-chain amino acid level, but also stimulate insulin generate and promote muscle uptake of other amino acids to prevent muscle breakdown. 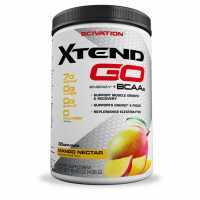 Amino Acid & BCAA products infused with stimulants are becoming increasingly more popular. BPI Sports has been consistently releasing new products over the last few years to pretty good fanfare. 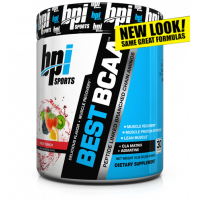 Best Aminos w/ Energy follows in with 5 grams of..
Bpi Sports, Best BCAA uses, what they call their “secret weapon”, with the use of their oligopeptide multi-chain linked BCAA model. 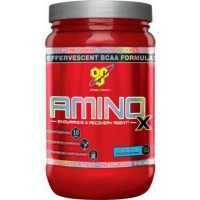 This post-workout recovery model utilizes a proprietary process route, which may act as a better transport vehicle, al..
BSN Amino X is a stimulant free, effervescent, amino acid and BCAA's drink, that will aid training performance, recovery of the muscles and increase endurance while exercising. Amino X focuses on endurance and recovery support, it's caffeine-free ..
769, Dymatize Nutrition Liquid Super Protein Amino - 946ml, , $ 250MOP, liqsuper, Dymatize Nutrition, Amino Acids / BCAAs..
Evlution Nutrition BCAA 5000BCAAs consist of three EAAs: Leucine, Isoleucine and Valine. It stimulates protein synthesis and increase synthesis of the cellular machinery responsible for carrying out the process of protein synthesis. 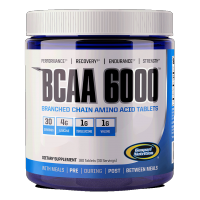 They are direc..
Full Force BCAA+B6 Branched chain amino acids BCAA (L- leucine, L-isoleucine and Valine) Scientifically proven 3 amino acids which increase protein synthesis, trigger rapid muscle recovery and prevent muscle breakdown or catabolic process while..
Gaspari Nutrition BCAA 6000 uses a 4:1:1 ratio (high in leucine) of 100% pure branched chain amino acids in a formula that provides effective quantities of these critical nutrients in every dosage. 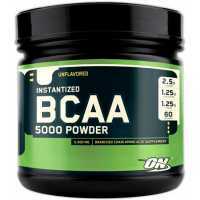 All BCAA's are considere..
GAT BCAAs BCAAs contain three branched-chain amino acids. L-Leucine, L-Leucine, L-Isoleucine in freeform. The free form (not Protein Bound) supports rapid absorption and delivery to your muscle. 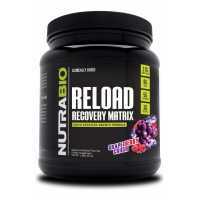 Stimulate protein synthesis, Improve endurance. &..
777, MAN Sports Iso-Amino - 30 Servings, , $ 299MOP, isoamino, MAN Sports Supplements, Amino Acids / BCAAs..
778, MAN Sports Iso-EAA - 30 Servings, , $ 370MOP, isoeaa, MAN Sports Supplements, Amino Acids / BCAAs..
BCAA 3:2:1 by MusclePharm brand is the foundation for your body. 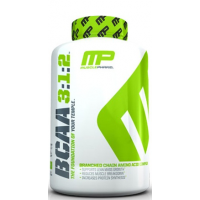 As a top rated post-workout supplement, BCAA 3:2:1 helps to promote muscle development and maintenance with their use of a patent-pending 3:1:2 BCAA ratio. 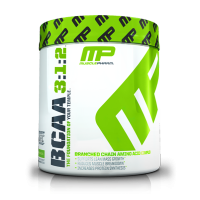 With proper use of Leucine..
BCAA 3:2:1 by MusclePharm brand is the foundation for your body. 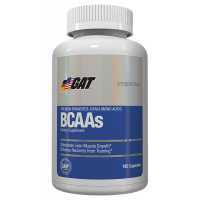 As a top rated post-workout supplement, BCAA 3:2:1 helps to promote muscle development and maintenance with their use of a patent-pending 3:1:2 BCAA ratio. 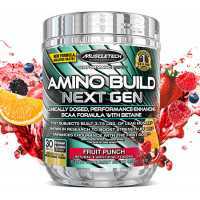 With proper..
Amino Build Next Gen BCAAs are comprised of 3 powerful amino acids – valine, leucine and isoleucine – and are perfect for athletes because they serve as primary building blocks for muscle and helps combat muscle loss and protein breakdown, espec..
Mutant BCAA deliver 2000mg of 100% free form BCAAs per dose in the preferred 2:1:1 ratio.BCAAs are the 3 amino acids : L-Leucine, L-Isoleucine and L-Valine. that make up about 40% of the free essential amino acids in blood plasma. 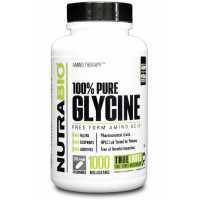 ..
NutraBio 100% Pure Glycine is an amino acid, a building block for protein. 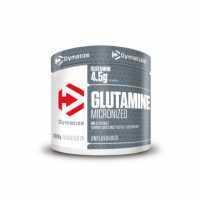 Glycine is used for the body to make proteins. It is interfered in the transmission of chemical signals in the brain hence the calming effect on the brain. 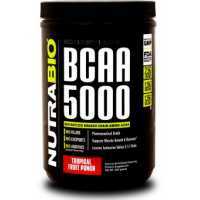 It is inclu..
NutraBio BCAA branched chain amino acids and our freedom in the form of leucine, isoleucine and valine are all based on 100% vegetable. Duck feather and human hair? My God! Not our Nutrabio of BCAA. No hair, feathers or any other weird things. we nat..
NutraBio BCAA branched chain amino acids and our freedom in the form of leucine, isoleucine and valine are all based on 100% vegetable. Duck feather and human hair? My God! Not our Nutrabio of BCAA. No hair, feathers or any other weird things. 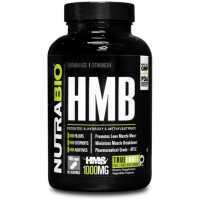 w..
NutraBio HMB (1000mg) is leucine (L-leucine) metabolites, stimulate muscle protein synthesis. 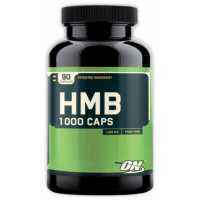 HMB driving force for growth than leucine BCAA L-leucine more efficiently, minimize muscle breakdown and promote muscle mass. 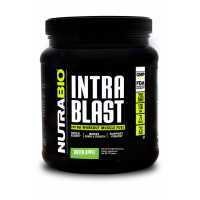 ..
NutraBio Intra Blast is the advanced Amino Acids Intra Workout formula which formulated for the athletes who is performing in the highest intensity level! 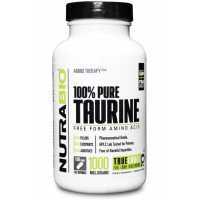 Main ingredients like BCAA/Glutamine/EAA/Betaine will provide your body with all nec..
Taurine is the most abundant in many organizations free amino acids and involved in various metabolic processes. 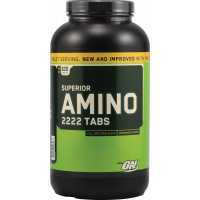 Taurine is found at high levels in the heart and skeletal muscle, white blood cells, central nervous system, for all other amino acid bui..
Optimum Nutrition Amino 2222 contains top quality protein that is immediately absorbed by your organism. This incredible product features a unique formula that combines both whey and soy proteins for an ultimate effect and their complete use. 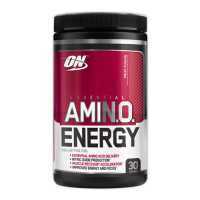 Th..
Optimum Nutrition Amino 2222 contains top quality protein that is immediately absorbed by your organism. This incredible product features a unique formula that combines both whey and soy proteins for an ultimate effect and their complete use. 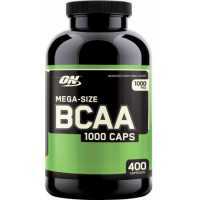 The ami..
Optimum Nutrition BCAA 1000 is the most researched formula of BCAA's with best Ratio 2:1:1. 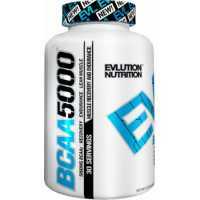 L-Leucine 500mg : L-Isoleucine 250mg : L-Valine 250mg is Branched Chain Amino Acids which promote faster recovery of the muscle by increasing insuline levels ..
Optimum Nutrition BCAA 5000 Powder is made using a proprietary process that mixes easily and keeps the BCAAs suspended longer so they do not readily settle to the bottom of the glass, because if you can't drink your BCAAs, they can't help your perfor..
Gold Standard BCAA is Branched Chain Amino Acids prized by athletes for their ability to help spare muscle during endurance training and help kick start the muscle building process after weight training.Formula also includes electrolytes,antioxidant ..
Optimum Nutrition HMB (hydroxymethyl butyrate) is a branched chain amino acids - leucine decomposition products can help reduce body protein (muscle) exploded after strenuous exercise and muscle cell damage, improve athletic performance studies ..
Amino-Tone is the latest innovative product from Ronnie Cole Signature Series, an amino acid drink which supports lean muscle. 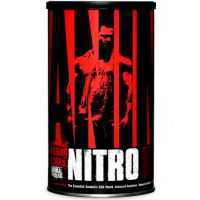 This amino acid drink will help manage weight, containing a Stim-free fat loss support complex, metabolizing fat without..
775, Sparta Nutrition BCAA - 30 Servings, , $ 299MOP, spartabcaa, Sparta Nutrition Supplements, Amino Acids / BCAAs..
Universal Nutrition BCAA Stack Studies have shown that branched-chain amino acids and glutamine can improve athlete's many important advantages: energy support during exercise, inhibition of muscle breakdown, and improved performance and endu..